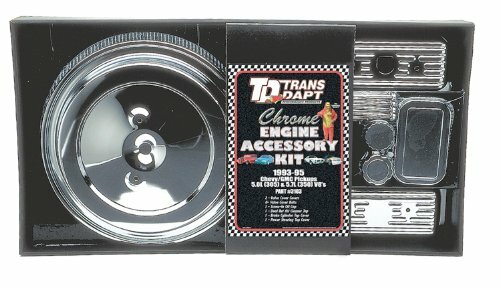 Trans-Dapt Chrome Engine Dress-Up Kit is made from high strength chrome plated original equipment manufacturer. 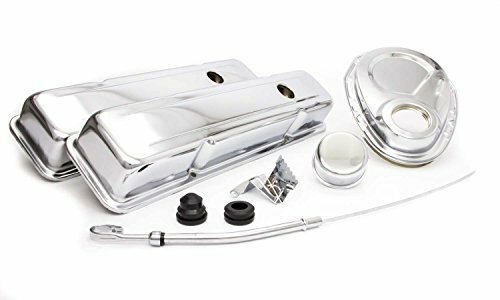 This engine dress-up kit includes 2 Valve Covers, 8 bolts, screw-in oil cap, dual nut air cleaner top, master cylinder cover and power steering cover. It is highly durable, easy to install and comes with short Valve Covers. Mr. Gasket Engine Dress Up Kits brighten up your engine compartment with a show-car look and keep you from having to piece together mismatched parts from different sources. 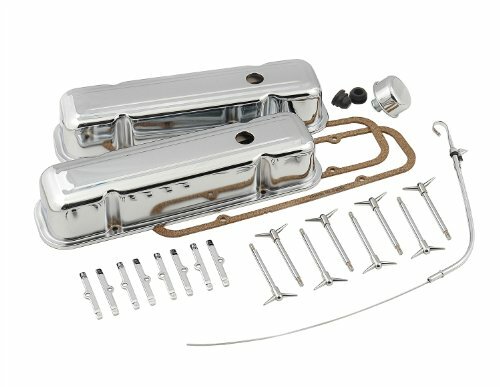 Designed specifically for small-block Chevys, this all-encompassing collection includes a pair of chrome valve covers with valve cover gaskets, a chrome push-on breather with a grommet, a PCV grommet, a chrome timing-chain cover, a chrome timing tab, a chrome dipstick tube and a dipstick with a chrome handle. 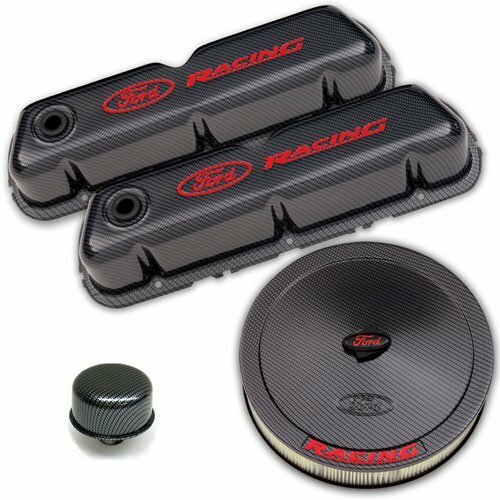 Included in the kit: One set of valve covers Air cleaner Timing chain cover Breather cap 8 wing nuts 8 hold-down clampsGive your engine a truly unique and striking look with one of the most popular and durable dress-up kits available today! These stamped steel bolt-on parts are electrostatically painted baked with durable high-tech, Chevy Orange, finished with the famous Bow-Tie and Chevrolet Emblems. Mr. Gasket Wire Cover Kit protects wires from heat and abrasion while adding color and style to engine compartment. Slit for easy wire insertion and removal. 6" length x 1/4" diameter. 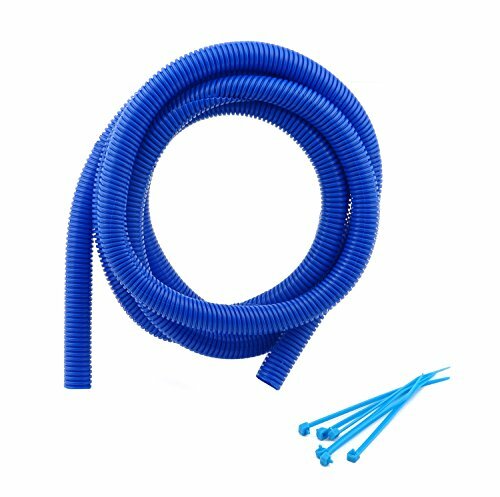 Mr. Gasket Blue Flexible Tubing safeguards expensive electrical wiring from the damaging effects of heat and abrasion. 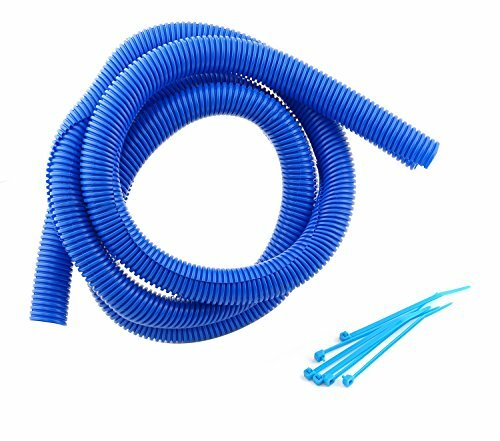 Manufactured from pliable, flexible polyethylene, this sturdy 12-foot length of convoluted 3/8-inch tubing can be trimmed to any size and comes with a built-in slit for easy wire insertion and removal. 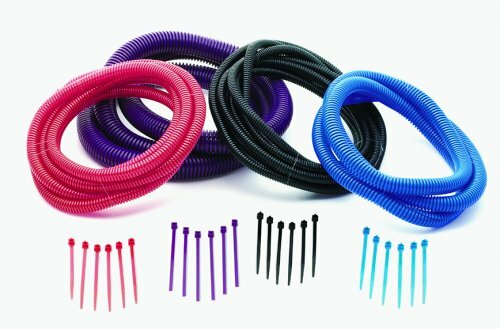 Six reusable 4-inch nylon tie wraps in matching blue complete the installation, and kits are available in black, red, blue, and yellow and in 1/4-inch, 3/8-inch, 1/2-inch, and 3/4-inch diameters. 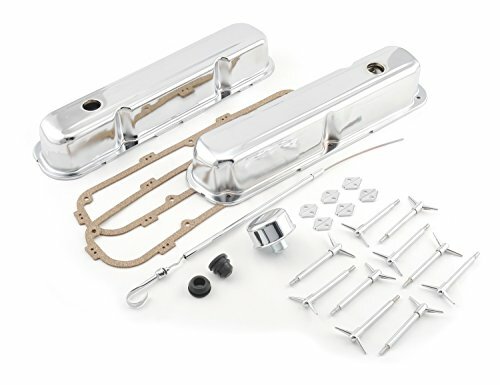 Mr. Gasket Engine Dress-Up Kits include one chrome push-on breather, two valve cover gaskets, two chrome wire loom brackets, and fourteen chrome wing bolts. They are made from high quality material that ensures long lasting durability. 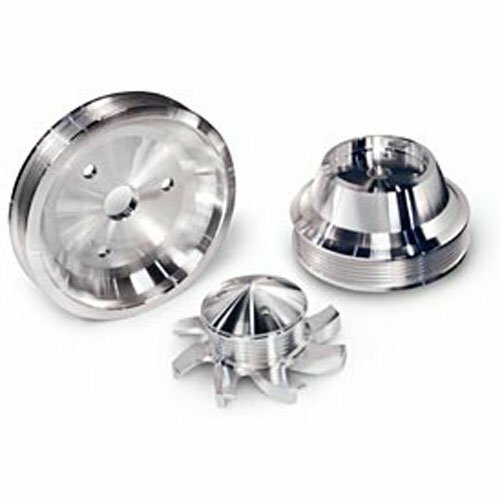 These kits are corrosion resistant and facilitate easy installation. Mr. Gasket Wire Cover Kit protects wires from heat and abrasion while adding color and style to engine compartment. Slit for easy wire insertion and removal. 8" length x 1/2" diameter. Proform GM 141-780 Engine Dress-Up Kit, Steel, Orange, Chevrolet Logo, Black Logo, Tall Valve Covers/Air Cleaner/Timing Cover, Breather, Chevy, Small Block, Kit. These new Chevrolet orange dress-up kits will give your engine a cool "stand out in the crowd" look. 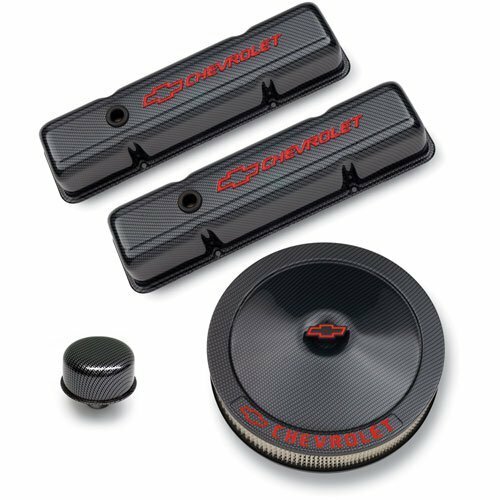 Orange valve covers, with their distinctive look and boldly striking bowtie and Chevrolet emblems, are CED painted for long-term corrosion resistance, and then orange painted on the outer surface. Includes a pair of tall baffled bowtie valve covers, a 14" classic bowtie air cleaner kit, a bowtie timing chain cover, eight bowtie valve cover mini nuts, eight bowtie valve cover hold-down clamps, and a matching bowtie push-in valve cover breather cap. Mr. Gasket Wire Cover Kit protects wires from heat and abrasion while adding color and style to engine compartment. Slit for easy wire insertion and removal. 12" length x 1/4" diameter. 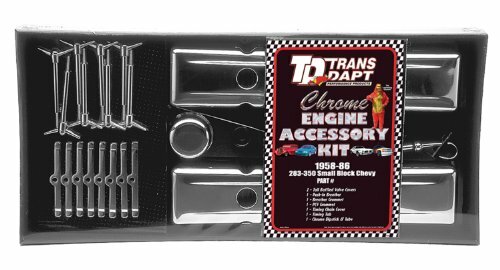 Trans-Dapt Performance Products billet aluminum dress-up kits are for most GM vehicle steering columns, and look clean and contemporary. 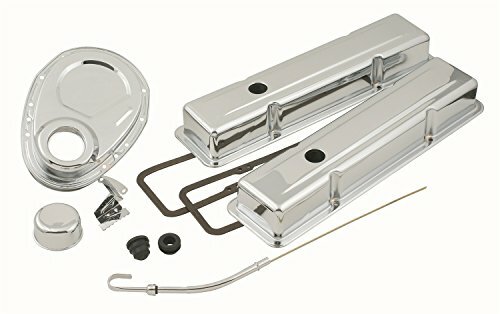 The 3-piece set includes turn signal, tilt wheel lever and emergency flasher knob. 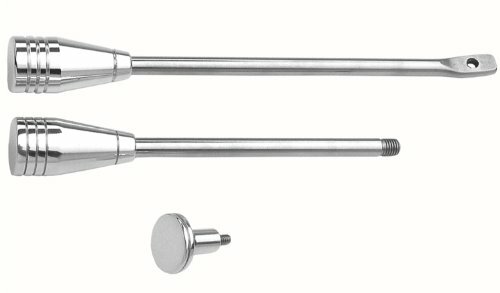 Billet aluminum column shift lever fits most GM trucks and car steering columns up to 1999. Fully polished aluminum. 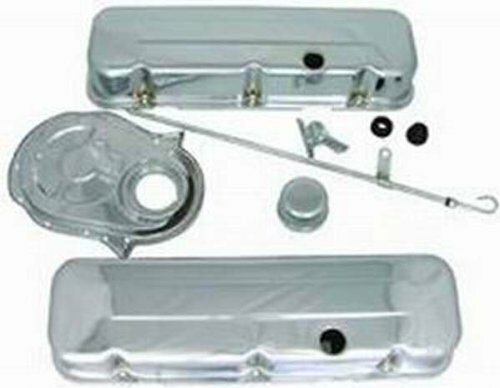 Mr. Gasket Wire Cover Kit protects wires from heat and abrasion while adding color and style to engine compartment. Slit for easy wire insertion and removal. 6" length x 3/4" diameter. Racing Power Company - Packaged R3026 BBC ENGINE DRESS UP KIT.